Today we have the post office in the ongoing competition, came another story. 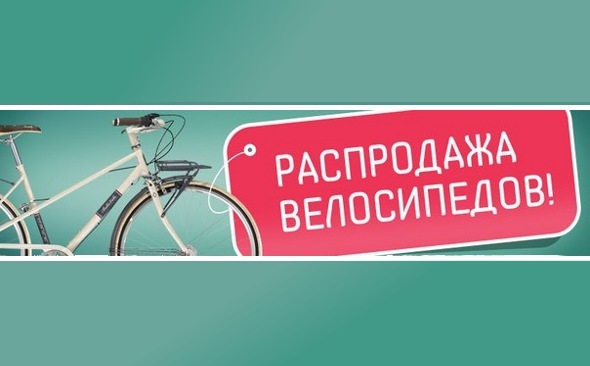 Bicycle use services in Kiev I previously had. All adult life as I can remember, always had a bike. However, last fall for the first time there was such a need. As part of a student exchange us for a week visiting 8 boys and girls from the Belgian town of Leuven. To keep our friends from Belgium best possible impression of Ukraine, we had to carefully plan for their cultural and entertainment weekly. My idea is to devote the last day of the exchange of all cycling outing was radistno supported, though I myself doubt it. What are the concerns? Was not sure if I can find a bike rental with adequate value for money. Pay 50 USD. per hour - something not for the student budget. But all the same started searching the internet and came across veliki.ua. 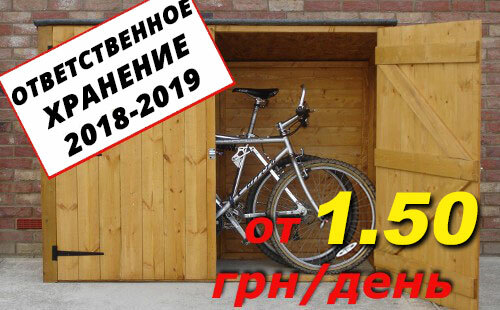 Attractive price, great location near Goloseevskogo forest (by the way, in my opinion, is the best place in Kiev for mountain biking). In short, I decided to call and clarify everything - and was pleasantly surprised that I could seamlessly take immediately 9 bikes, even at a discount. Our Belgian friends are eagerly awaiting the last day of the exchange, when «bike trip». We, in turn, were eager to walk them leave the best possible impression, while aware that the surprise European bike tours - it is not simple. Leuven - a campus where everyone is a bike and car traffic is almost absent. Selected our rental was less than 10 minutes from the station. Metro Holosiivska. When a telephone conversation with the manager hire my question "what are your bikes?" Heard succinct "good mountain" - until the last moment pessimistically imagined squeaky fort or Ardis. When in place got brand new Trek and Kellys - all my doubts and fears vanished and I was elated Belgian team led our paths Goloseevskogo forest. Time for cycling was chosen and favorable weather we were lucky. It was the end of October - the time when the autumn forest was in all its glory. At this time in the absence of rain to extreme steep slopes with narrow paths added to the impression of the beauty of autumn trees and leaves rustle from the Pacific under the wheels. The first ascent to the Agrarian University defeated in cheerful pace. It became immediately evident that each of our Belgian friends at home using a bicycle as the primary mode of transportation. After a steep downhill to golosiivskyi ponds all eyes could see the excitement: I wanted to repeat but, of course, no one wanted to climb it again to the mountain. Forest Hills Goloseevskogo great for endurance training. In this vast wooded area you can choose many routes of varying difficulty, and still half an hour to get tired more than half a day of driving through the city streets. After passing the lake and the private sector, we stopped at Kitaevskaya monastery. Trees canopy almost touching the water surface, a handsome monastery of cascading ponds, high hills, which isolate the sound of the Metropolitan Highway - a great place to make a pit stop and eat. It really should gain strength before lifting seriously. To go to the mountain of Kitaev not easy, even in first gear, but almost all of it was done without zlizayuchy the horse. Whenever I get to Holosiyiv unwittingly ride is new to me unknown paths. It seems as if these trails in the woods many and they are all the same. This time I also joined "mode Susanin" and had a little wander. It would be nothing if not treacherously fast in the autumn dusk, so our disposal remained for several hours. Need trail soon found, and we rushed to the race Theophany. This park every year is getting better. Low-trees, artificial ponds on the background of steep wooded hills and magnificent network of paths Panteleimon monastery make this place special, extremely attractive from an aesthetic point of view. Park "Feofania" for many people of Kiev has become a favorite holiday destination. This unique monument of landscape art, we could not avoid attention. My concerns about the speed limit in the park turned out to be unnecessary: on this day of Theophany some reason there were almost no people, so we were free to chase lanes and do not be afraid to knock down children. Approaching the time of twilight, so relaxing, we returned to Goloseevskogo forest and left the territory of Expocentre, and then through the park Rylskyi - to hire. On-board computer showed less than 30 km, but it was enough to feel the pleasant fatigue in the legs, together with good impressions indicated that cycling is successful and the last day of our student exchange in bright. Later, our friends from the Belgian town of Leuven remembered that day as one of the most exciting for the whole week spent in Ukraine. Without veliki.ua perhaps it would be impossible to organize everything at that level. So if you're waiting for nonresident or foreign visitors and want to show Kyiv at its best, or just want to spend a day actively and clearly - do not hesitate to take on hire bicycles and go cycling in!